Make a cake of flour and oil like the widow of Zarepheth made of Elijah. Try to light a fire that’s been doused with water – it would take a miracle! Try a day of silence to hear the “still, small voice”. 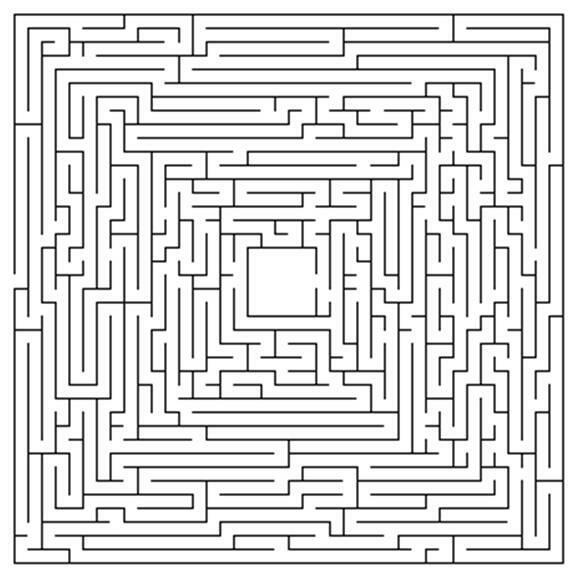 Can you trace Elijah’s journeys on the map? See I Kings 17:1, 17:3, 17:4, 18:2, 18:9. 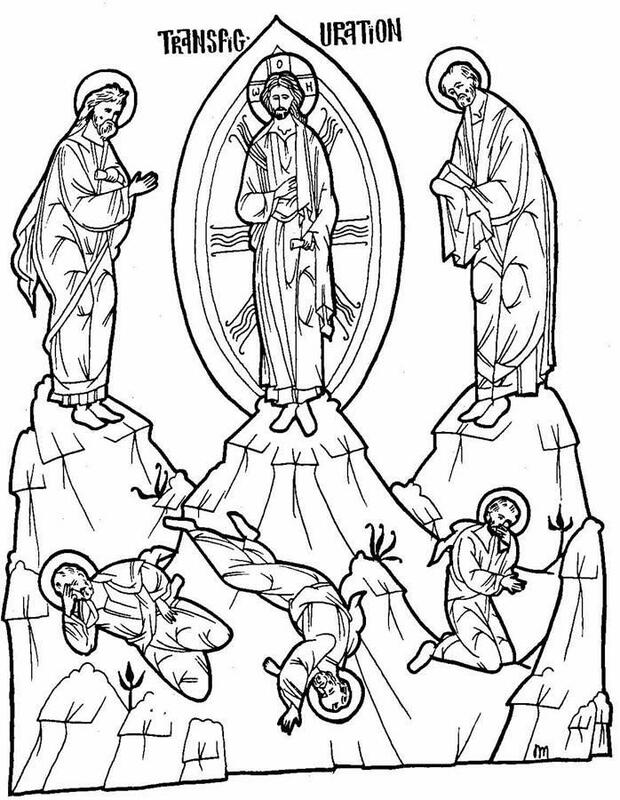 Put the icon of the Transfiguration in your icon corner; point out Elijah. 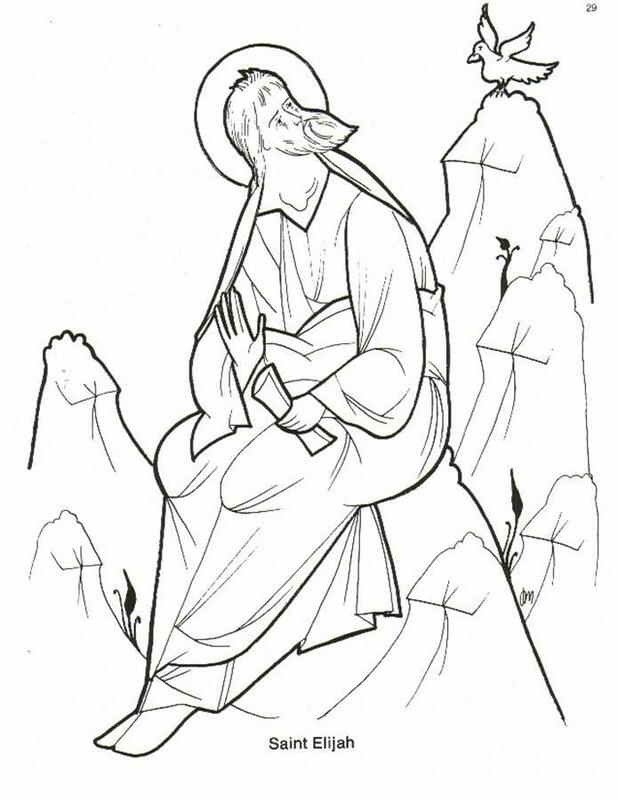 Prayer: Lord, let us hear You in the quietness of our souls. 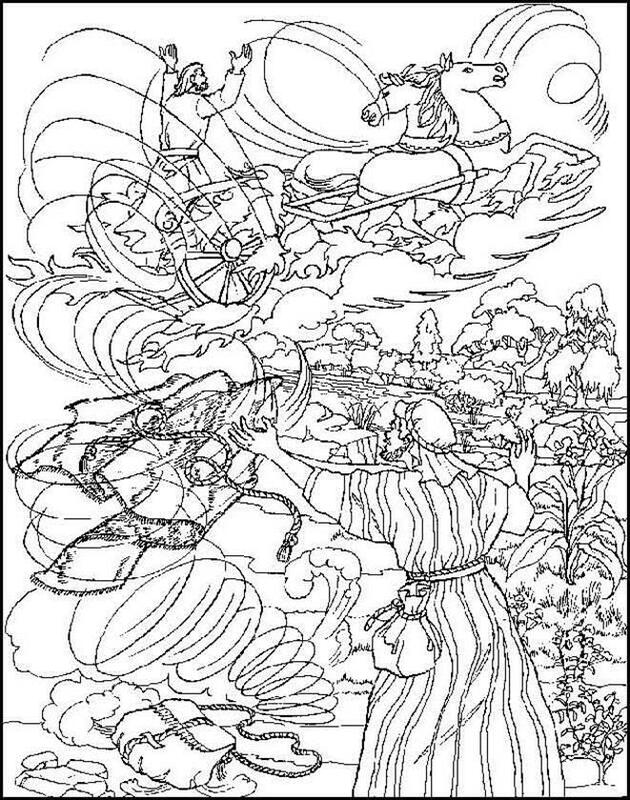 Elijah taken up to heaven in a fiery chariot. 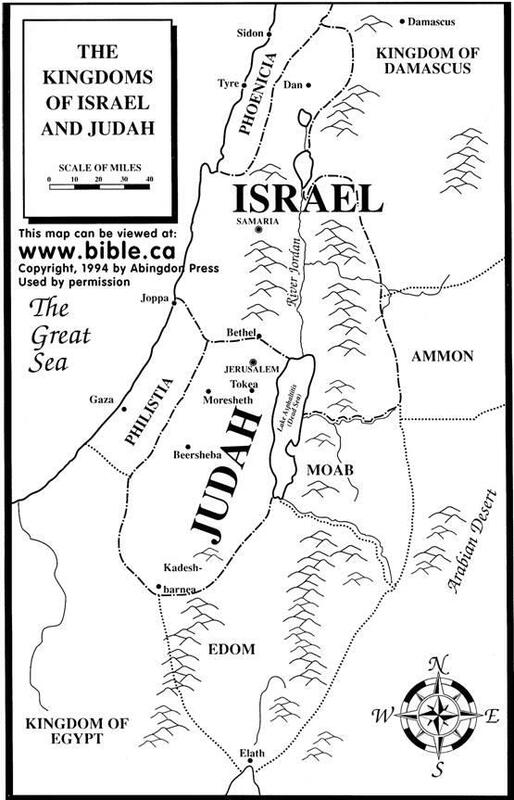 Can you find the places mentioned in the story of Elijah on the map? Many of the names are NOT present; you'll have to research their location and write them in!